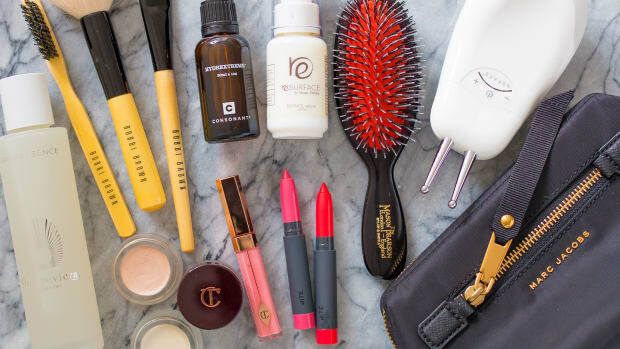 I don&apos;t know about you, but I&apos;d much rather receive ONE amazing beauty product than a pre-packaged set of travel sizes that I may or may not use. There&apos;s just something so impersonal—and often, a bit tacky if we&apos;re being honest!—about a gift set. Don&apos;t you agree? 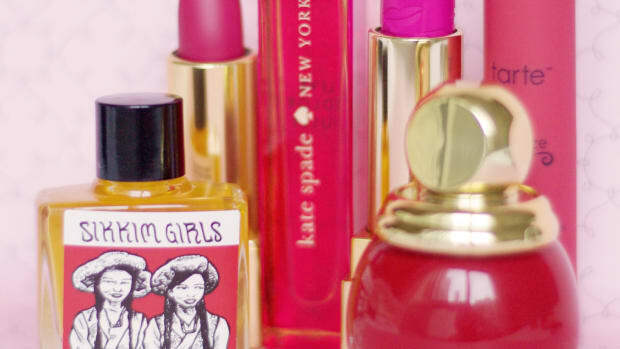 Of course, a beauty gift should never be TOO personal. Plus, with growing awareness around ingredients, I think it&apos;s usually best to err on the side of natural. 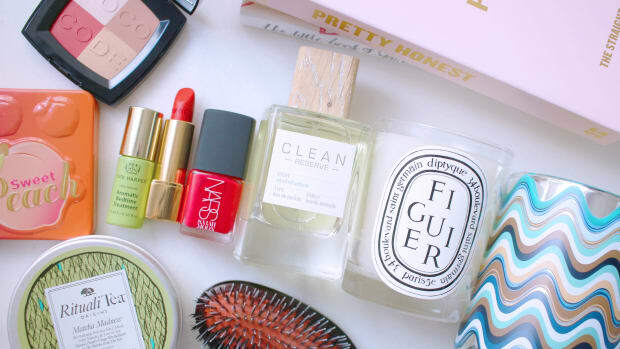 With that in mind, I&apos;ve curated a list of my favourite beauty products to give (or get!) this season. I&apos;ve grouped them by price point: under $25, under $50 and under $100. Canadian dollars, that is—so if you&apos;re in the US, these will be a bit cheaper for you! Check out my other gift guides if you&apos;re looking to splurge ($100+) or save ($20 and under)! 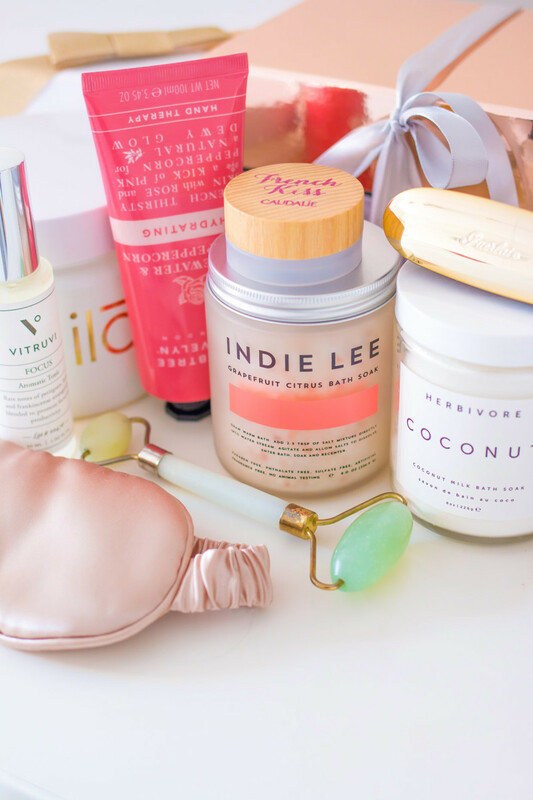 Under-$25 beauty gifts from Herbivore, Caudalie and Vitruvi. Herbivore Coconut Milk Bath Soak. Not only is the packaging on point, but so are the ingredients in Herbivore&apos;s Coconut Bath Soak. Inside is a silky, all-natural bath powder scented with vanilla and coconut. Library of Flowers Parfum Crema in Linden. Library of Flowers Parfum Crema is a range of solid perfumes—perfect for air travellers—in the prettiest little tins. There are six scents to choose from, including Linden (shown here) and Vanilla. French Girl Rose Lip Polish. Never underestimate the appeal of the words "French girl"! This French Girl Rose Lip Polish (a.k.a. 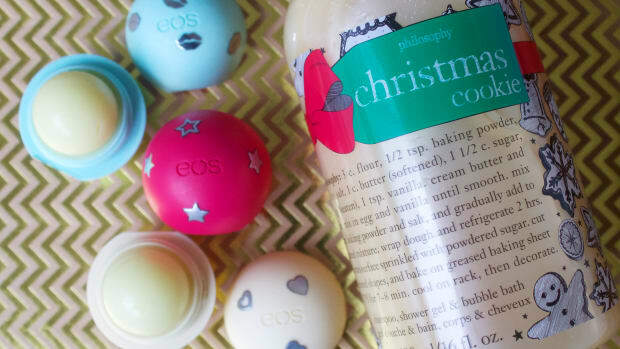 exfoliating lip scrub) is the chicest route to softer lips. Caudalie French Kiss Tinted Lip Balm in Séduction. Speaking of French, Caudalie&apos;s French Kiss Tinted Lip Balm is sure to please both makeup enthusiasts and minimalists alike. The wooden cap is gorgeous, and the balm itself gives a sheer hint of colour. There are three shades, including Séduction (shown here). At this price point, Charlotte Tilbury&apos;s Makeup Bag is the cutest one around. Fun fact: the lip prints belong to some of the most iconic women in fashion. Vitruvi Face & Body Mist in Focus. Vitruvi&apos;s Face & Body Mists are a modern way to enjoy aromatherapy. The blends are as complex as perfumes, and you simply mist away—no oil burners required! Choose by desired outcome, including Still, Wake or Focus (shown here). 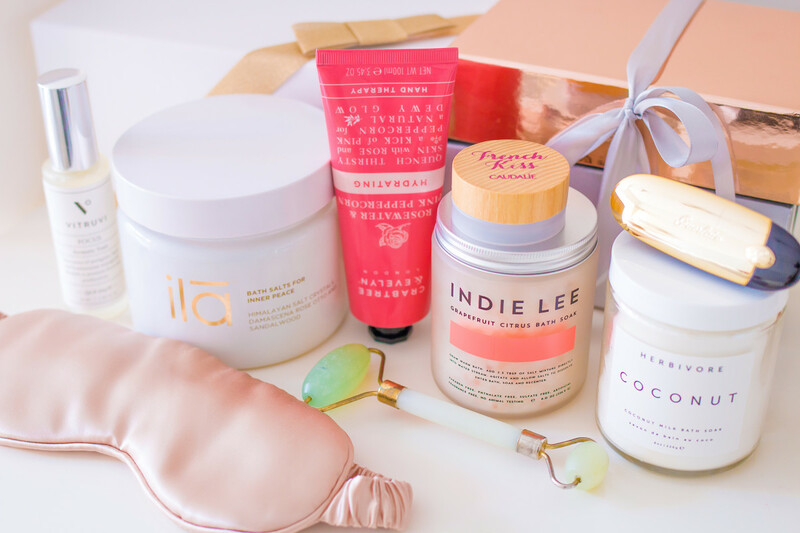 Under-$50 beauty gifts from Indie Lee, Ying Yu and Crabtree & Evelyn. Indie Lee Grapefruit Citrus Bath Soak. Indie Lee Grapefruit Citrus Bath Soak is a blend of four types of mineral-rich salts (Pink Himalayan, Dead Sea, Atlantic and Pacific), spiked with grapefruit and orange. I&apos;m in love with her branding... even the box it comes in is beautiful! If you&apos;re after a hostess gift, may I suggest Bastide Liquid Hand Wash? It&apos;s an artisanal, natural hand soap from Provence in a luxe glass bottle. If you&apos;re looking for something unique, a Ying Yu Jade Roller is the perfect choice! Made from hand-carved jade, this precious tool can be used for facial massage, de-stressing and de-puffing. bkr Spiked Water Bottle in Naked. For the sporty ones on your list, you can&apos;t go wrong with a bkr Spiked Water Bottle. The spikes are new this year and come in a range of shades, including Naked (shown here). As always, it can all be popped in the dishwasher for easy cleaning. Crabtree & Evelyn Hydrating Hand Therapy. Fancy hand cream is a classic holiday gift, and the new Crabtree & Evelyn Hydrating Hand Therapy is a total crowd-pleaser. I love the metal tube, in bold pink (! ), and the formula can&apos;t be beat. Smashbox Drawn In, Decked Out Be Legendary Lipstick Palette. Any lip colour addict would love to own the Smashbox Drawn In, Decked Out Be Legendary Lipstick Palette. Along with a lip brush, you get seven creams and seven mattes that can be worn alone or mixed and matched. I&apos;ve long been a fan of this formula—it&apos;s one of the best! 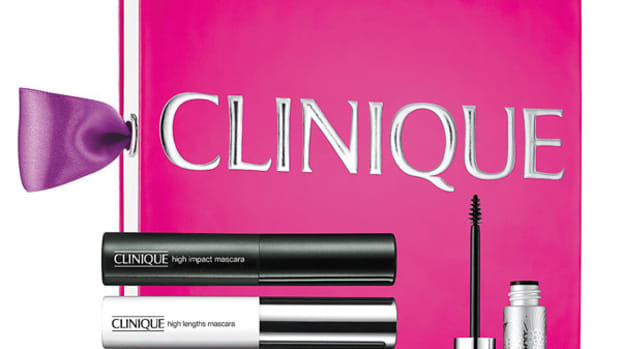 Under-$100 beauty gifts from Slip, ila and Guerlain. Slip Pure Silk Sleep Mask in Caramel. The Slip Pure Silk Sleep Mask is the creme de la crème of eye masks. (The iluminage is more anti-aging, but it ain&apos;t pretty!) Made of 100 percent silk, it comes in nine colours, including Caramel (shown here). Bonus: it&apos;s also machine-washable. Claus Porto Deco Mini Soap Collection. The Claus Porto Deco Mini Soap Collection features the most beautifully-wrapped soaps I&apos;ve EVER seen! You get nine hand-wrapped mini bars in retro-inspired packaging. Guerlain Rouge G de Guerlain Lip Colour in Flaming Red. For the ultimate lipstick splurge, I will always recommend Guerlain Rouge G de Guerlain Lip Colour. The gold case is a work of art, and opens up to reveal a mirror inside for touch-ups. The formula is glorious, and in this limited-edition version, comes in two shades: Glamorous Cherry and Flaming Red (shown here). ila Bath Salts for Inner Peace. The most upscale bath salts I&apos;ve ever come across are the ila Bath Salts. The jar is BIG, and it&apos;s HEAVY! There are two scent blends, Cleansing and Inner Peace (shown here). Inside are the highest-quality Himalayan salt crystals and essential oils. Tata Harper Hydrating Floral Essence. When it comes to facial skincare, who doesn&apos;t love a good face mist? Tata Harper&apos;s Hydrating Floral Essence is suitable for all skin types, and that green glass bottle is just stunning to display—it makes me happy every single day! Le Labo Classic Candle in Palo Santo 14. When in doubt, go with a candle. Even if they don&apos;t actually use it, it always doubles as home decor! Le Labo Classic Candles are a cult favourite, and come in an array of unique scents. Palo Santo 14, shown here, is the newest, but Santal 26 is their claim to fame. A few of the most amazing beauty gifts under $25, $50 and $100. Hopefully, you&apos;ve found some great gift ideas here, whether you&apos;re treating a loved one or yourself! I know that gift sets offer great value and do take some of the guesswork out of gifting. But personally, I&apos;d MUCH prefer to receive any of the products I&apos;ve shown you here. It&apos;s not about quantity, but quality. 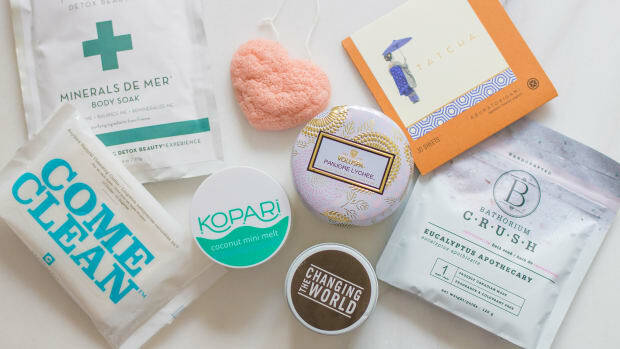 To me, these little beauty luxuries just seem more special—and thoughtful! 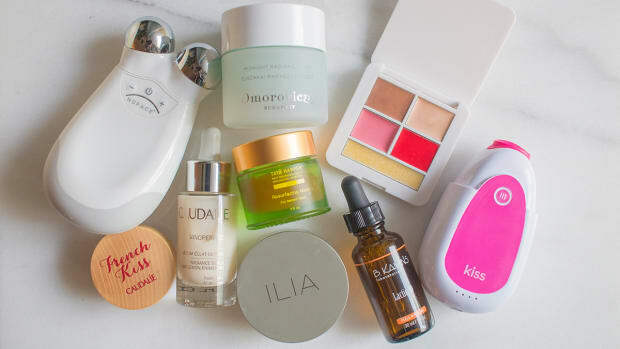 PS: These are my favourite luxury beauty gifts and these are the best under-$20 beauty gifts.